This beautiful natural wood Starter-Kit has all the basics for one cat. 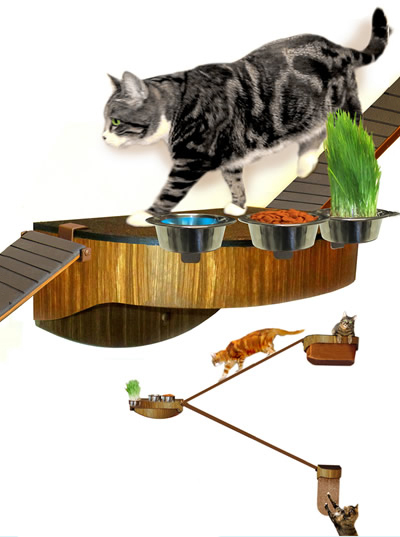 Create your own Cat Habitat on the wall with this fun, innovative, modular system. All parts (BRIDGES, BEDS, BOWLS and PERCHES) fit together so you can design any configuration.